This speech was delivered by George Erasmus at a conference in Ottawa in 1989 to what has been described as "a well-oiled group of Canadian business people gathered to discuss how Canada would celebrate 1992." George Erasmus is longtime Indigenous activist and politician from the Dene community of Behchokǫ̀. At the time of the speech, he was the leader of the Assembly of First Nations (AFN). Erasmus resigned at the end of his second term, in 1991. 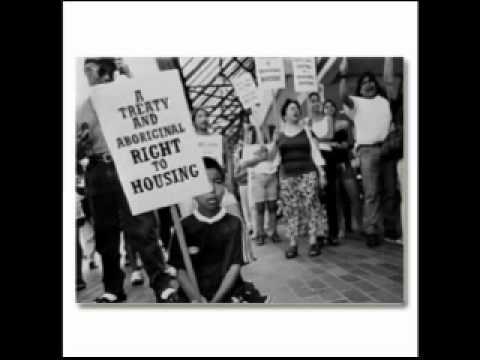 The video was recently posted on youtube by Greg Mentuck, of the Waywayseecappo First Nation. This is not lost on me, as a Cree person who has more to learn about the history of "the colonization project" brought to thls "home and native land" by the "crown of england". Surely the French were not much different? Each colonizers. I would post more, but I am short on time on fighting the gentrification in my community - the downtown eastside. I needed to "make time" to reply my gratitude for the message. I also appreciate "the messenger" - so thank you from my soul, which is in pain. This is an awesome speech, as trenchant and applicable today as it was then. It could be added to the school curriculum when looking at Canada's constitution and history. However i think it is important for a media portal such as this to make explicit the link between articles posted and ongoing events or current news. A sentence or two is sufficient. Otherwise, for new readers, it might appear you just dug up some favourite piece just to keep it in circulation (unfortunately not a compelling reason) or promote some other agenda, which decreases the site's credibility. I'll definitely include a little paragraph if/when I do post a blast from the past again. The video *is* actually recent. But I'll make a note to edit in a short few sentences about what has >NOT< changed, and hyperlink it to some recent article. Office 2007,For the first time Office 2010 in the history of Microsoft, Microsoft Office 2007 a 64-bit version of MS Office 2007 has been made available MS Office 2010 to users with the introduction of Microsoft Office 2010 Download . The office suite also features microsoft office 2007 download the unveiling of the free Cheap Office 2010 online versions of Office 2010 Download applications such illustrious Word, Win 7 Excel, PowerPoint and OneNote that are microsoft office 2007 download recognized by all browsers shows purchase microsoft office 2007 like Google Chrome, Internet Explorer, Microsoft Office 2007 Professional Safari and Mozilla Firefox. buy microsoft office 2007 Another remarkable Office 2007 feature that will undoubtedly enhance Microsoft Office 2010 the daily productivity and overall dexter dvd satisfaction in the fulfillment lost dvd of tasks is the criminal minds dvd completely new influential backstage view and select File.